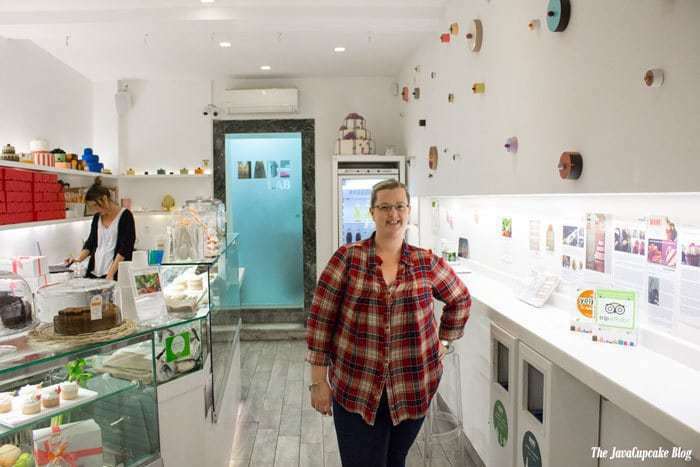 Nestled on a cozy side street of Rome, Italy and close to the River Tiber and the Piazza Navona, the Made Creative Bakery is a delicious retreat for both tourists and locals alike! In October 2015, my husband and I were treated to a once in a lifetime trip to Rome, Italy with a group of wounded soldiers and their families. On this trip we attended an audience with the Pope, toured Roman ruins and shopped at the Piazza Navona. 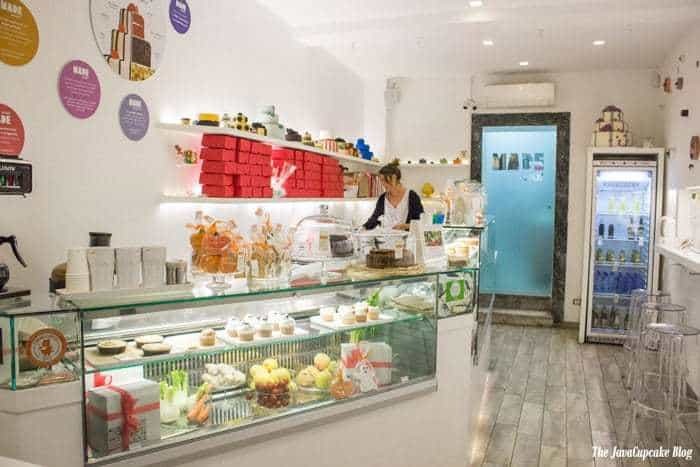 On our last night in Rome, I knew I needed to find one of the several cupcake bakeries before I left! I had been walking all day, I was exhausted but I was determined. My husband and I reached the Piazza Navona just at dusk and were given 45 minutes to shop at the stalls and stores along the piazza. Instead of shopping, we sprinted 3 blocks over to Made Creative Bakery for cupcakes! The store was just a few minutes from closing and I was so thankful we made it in time! 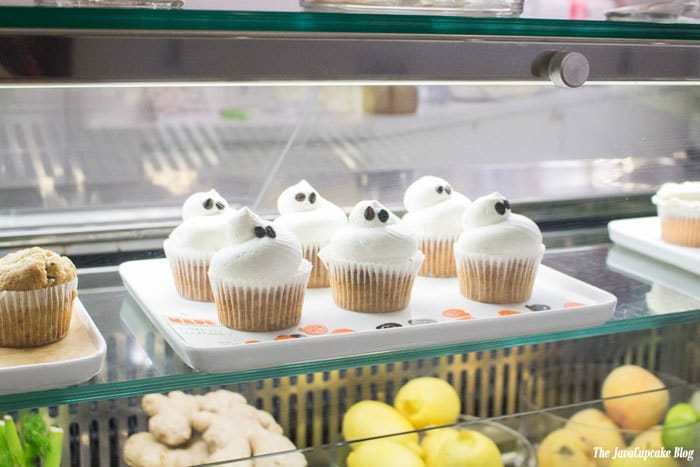 It was almost Halloween so their store was filled with pumpkin and ghost themed cookies and cupcakes! This bakery was a cute, small shop but full of character and charm. The decor was simple and bright, which I liked. The lady behind the counter spoke little English but was still helpful and polite. There were a few bar stools for seating and when the store wasn’t about to close, they had tables and chair outside for more seating. I picked out a few goodies to have boxed up to take back to the hotel with us. Since I don’t speak any Italian and the woman behind the counter spoke little English, it was difficult to ask questions about the bakery. 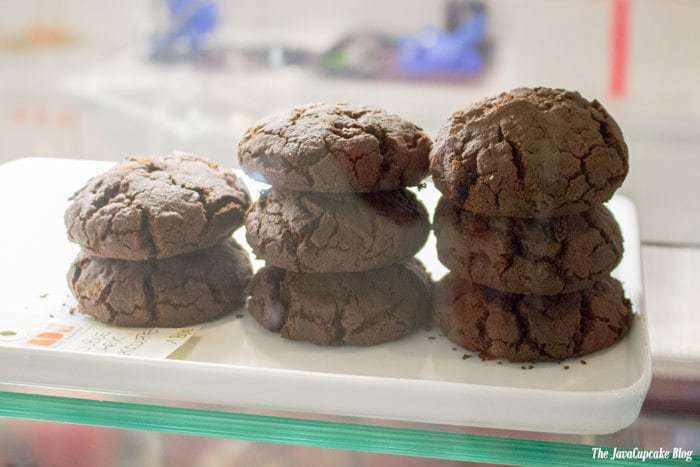 Made Creative Bakery also served a few other cookies and treats that weren’t Halloween themed including these monster chocolate cookies! Big pillowy clouds of chocolate and so delish! I did try to take some pictures of the cupcakes that night when I got back to my hotel room. Unfortunately, it was dark, the lighting was horrible and none of the pictures turned out that great. However, I did eat all three cupcakes and two cookies I bought and they were delish! 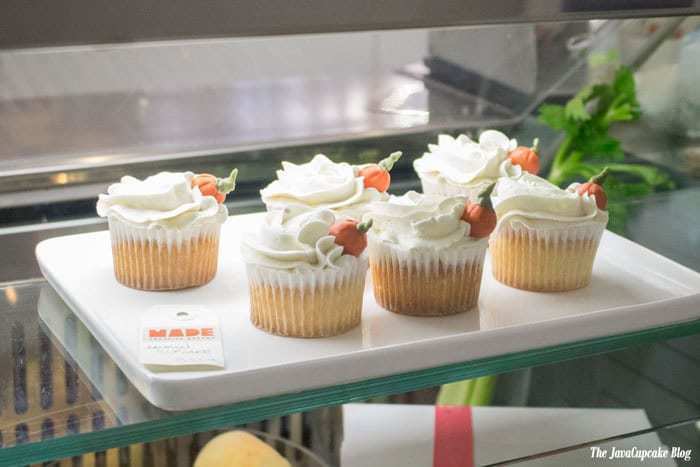 The frosting on the cupcakes seemed to be some kine of meringue, but I couldn’t tell which one… probably Italian since you know, it’s in Italy! 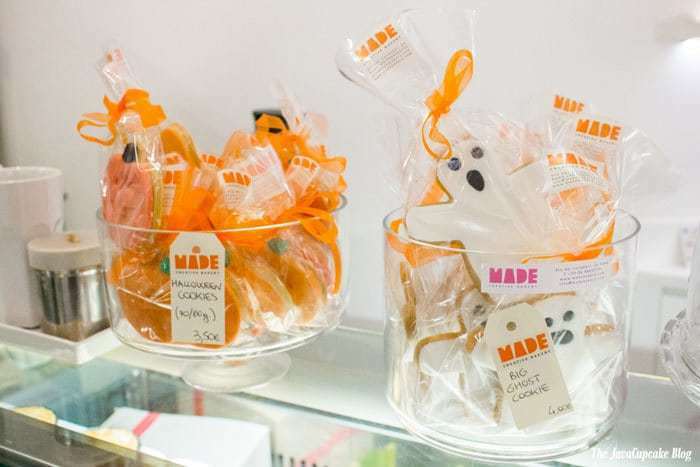 Made also provides workshops and makes customs cakes for parties and corporate events! 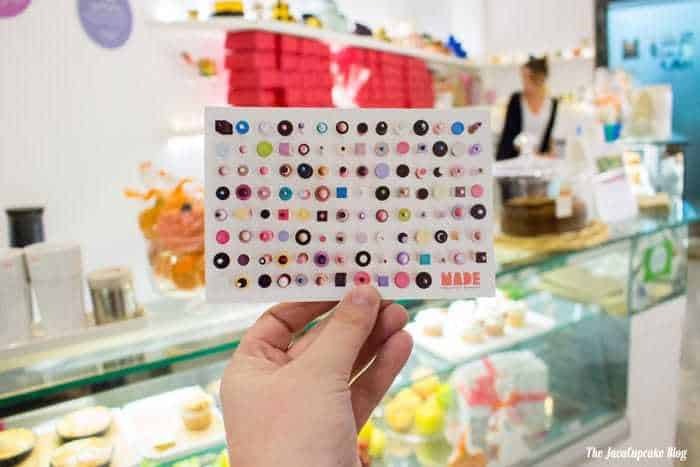 If you’re in Rome, make sure to stop by Made Creative Bakery for a treat! Tell them I sent you! I want to go to Rome and have a cupcake!! Rome is on my bucket list, hopefully in the next couple years we will get there. This bakery looks like a must! What a fun experience! I’d love to go there some day! That sounds like an amazing experience! Some day I’ll go to Rome and I know where to look for sweets. European bakeries are the best, and those cupcakes are darling! Wow, it sounds as though you had an amazing trip! And this cupcake shop would definitely be the way to top off a good day of sightseeing. So many cute treats! A defintie once and a lifetime experience! so fun! 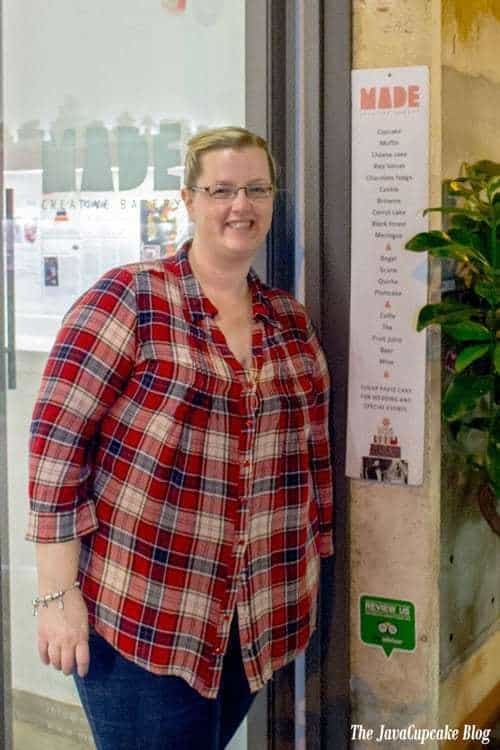 The trip (and this bakery) sounds amazing!